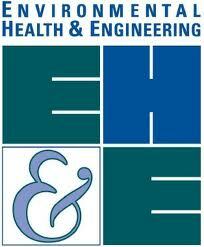 Environmental Health & Engineering, Inc., headquartered in Newton, MA, provides businesses and institutions with a reliable resource for environmental consulting and engineering services. EH&E is a firm that is focused, service-driven, and constantly exceeding clients’ expectations – we don’t just tackle technical issues, we provide solutions to major business challenges. Do you have what it takes to join a consulting services company that has solutions, and the people who can help implement them, giving our clients a resource unrivaled in the field? Provide program coordination at healthcare client Safety Office site. The department manages the Joint Commission Environment of Care activities, environmental tours, manages the preconstruction risk assessment process and performs associated inspections, provides guidance on the safe storage and handling of hazardous materials, and manages the disposal of hazardous materials, along with many other hospital safety responsibilities. Safety and Environment of Care Program Management: Provides coordination and management of the hospital safety program including maintaining polices and management plans, coordinating committees, and safety education, outreach and training activities. Hospital Walkthrough Inspections: Conduct periodic inspections of hospital areas including inpatient, support and ancillary services environments, construction sites, and in accordance with federal, state, and local government regulations and agencies’ policies. Hazardous Materials Management: Direct compliance activities related to OSHA requirements for Hazard Communication and Industrial Hygiene as well as US EPA, and MADEP compliance activities, including: Tier 2 tracking and submittal and hazardous waste program management. Safety Training and Written Program Updates: Prepare and deliver EH&S training programs; update written materials regarding EH&S (e.g., Chemical Hygiene Plan, Hazard Communication, etc.). Pre-Construction Risk Assessment (PCRA Management): Provides support related to the PCRA program including managing PCRA meetings and databases, auditing sites, and providing education to contractors and internal stakeholders. Must haveB.S. degree in safety, industrial hygiene, or the natural and/or physical sciences. Professional certification or certification-eligible, such as CIH, CSP, CHMM, HEM, active membership in a professional organization, working knowledge of OSHA, EPA, and TJC regulations and standards, and OSHA 24-hour HAZWOPER and DOT/RCRA hazardous materials training are preferred. In addition, the candidate will have experience with the role of the Joint Commission, the Local Fire Department, and Building officials in compliance activities. Must have at least three years of experience in a healthcare environment and have an understanding of the role of a consultant, working at various client sites. Must have valid driver’s license and own vehicle. Please send résumé and salary expectations using the "Apply for this Job" link on this page.